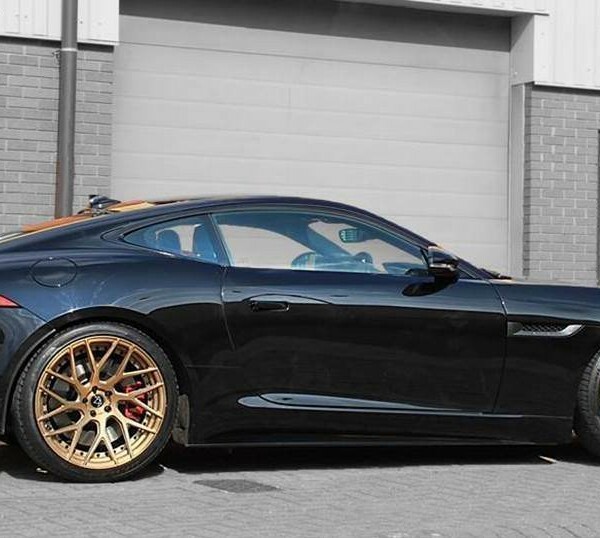 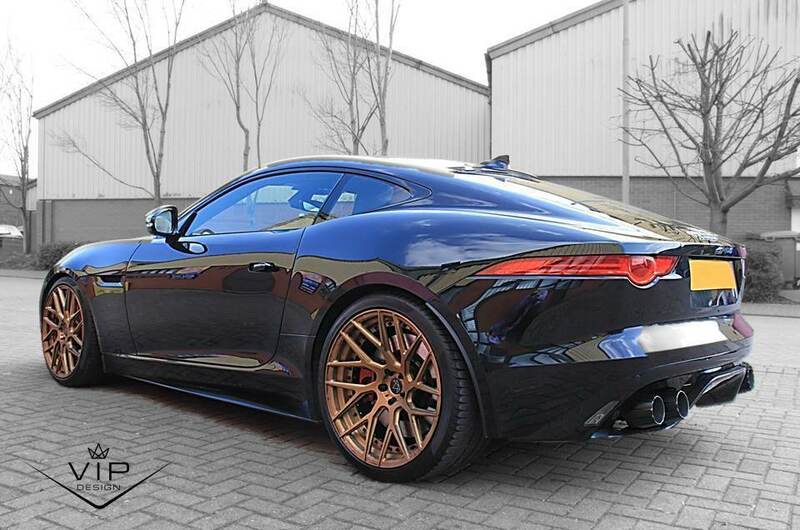 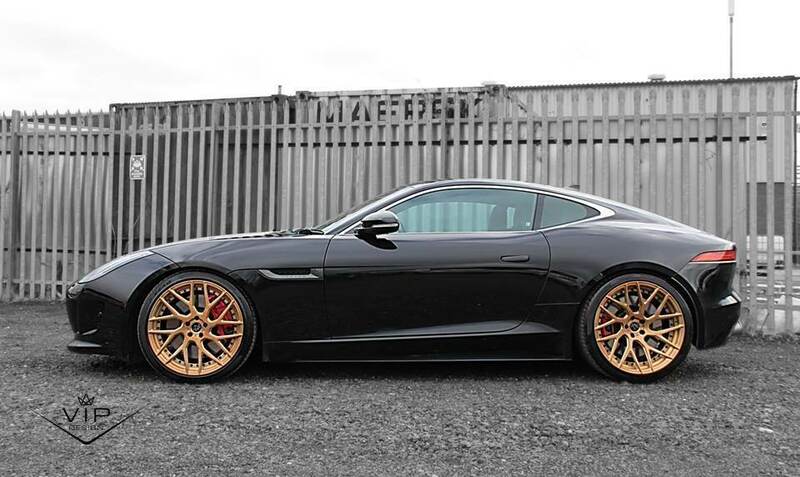 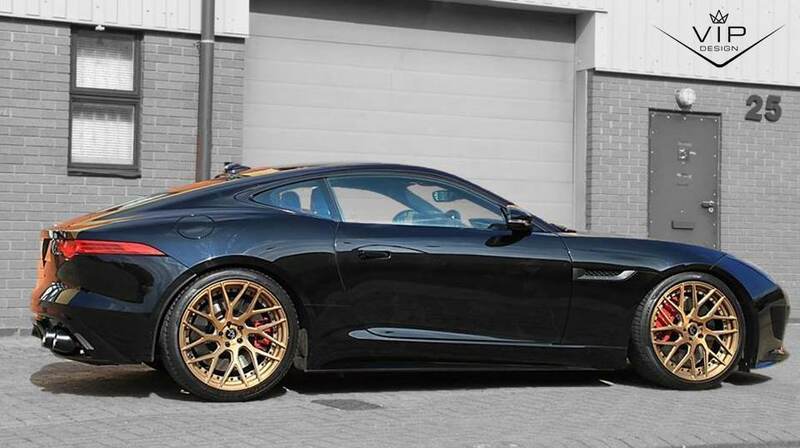 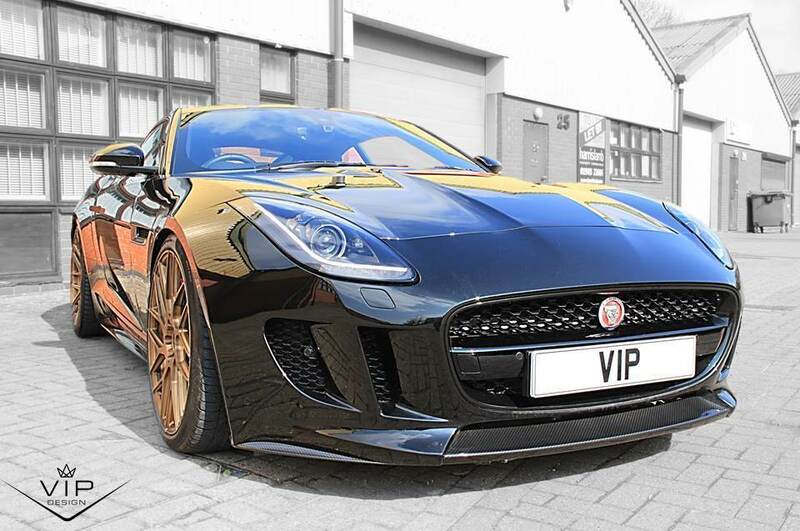 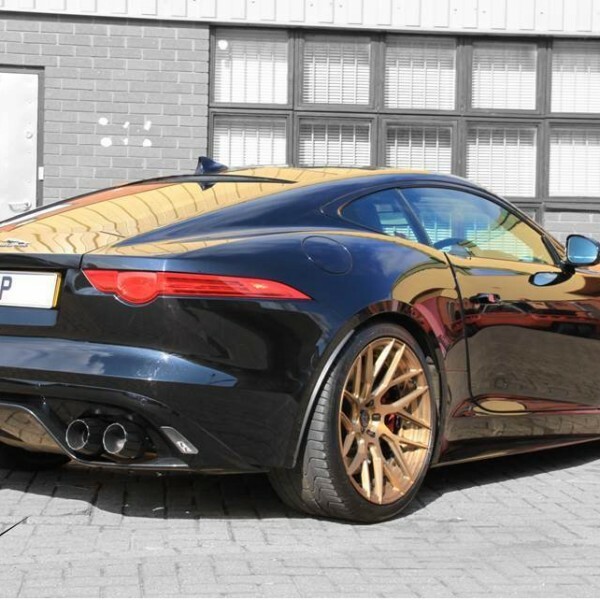 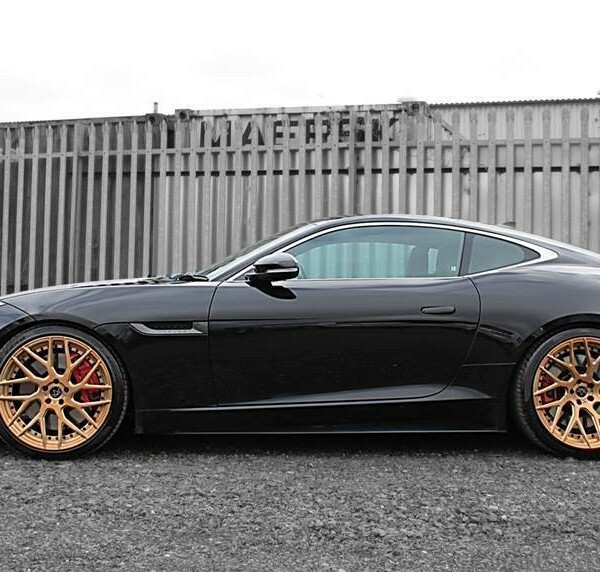 VIP Design: Jaguar F-Type Tuning UK 600Rx. 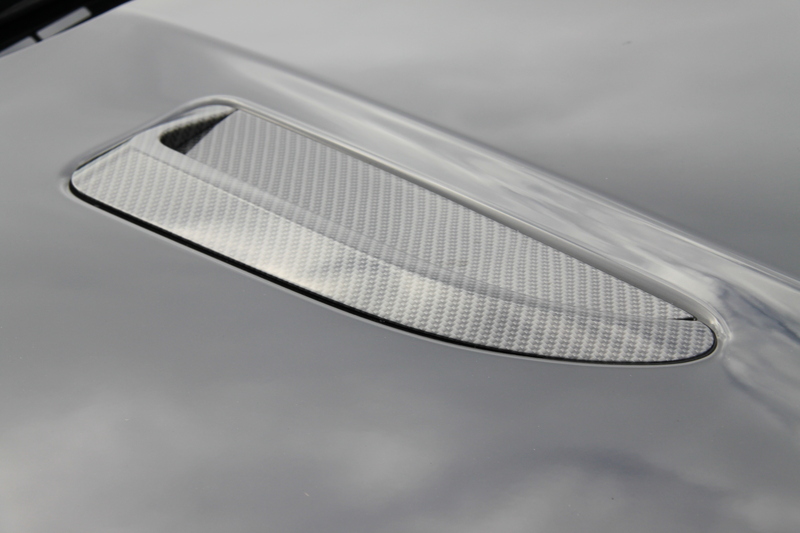 Classic confident lines exude that it’s a grown-up’s car; not for boy-racers, only for style-setters. 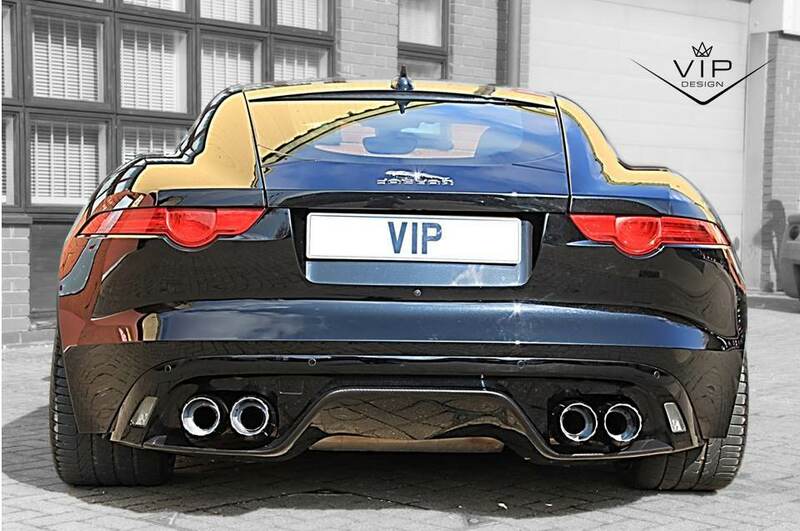 So when VIP took on this project it was with all this in mind. 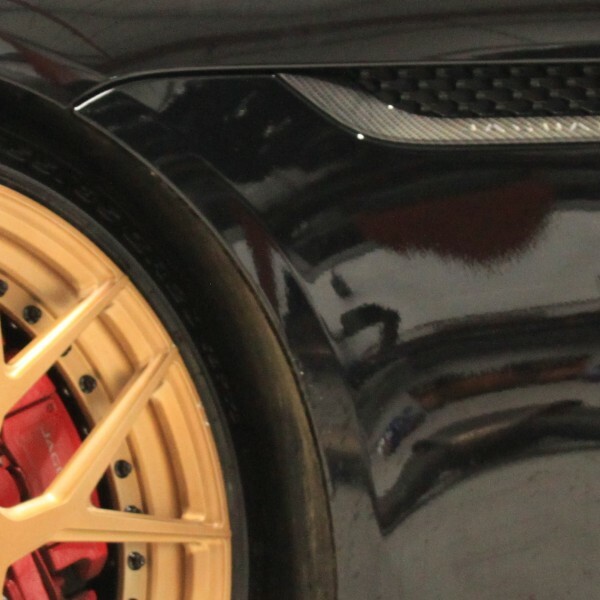 The Team met and the overarching end result needed to have the X-Factor (not to over complicate it but essentially the Bling-factor which marks the marques styled by VIP). 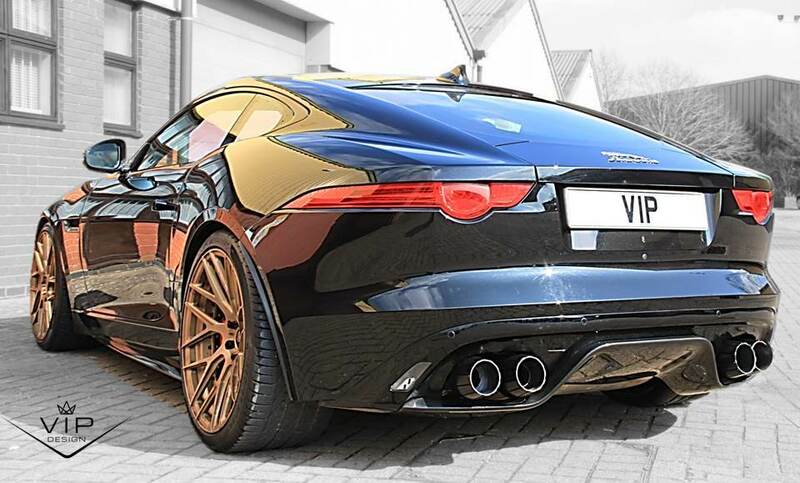 This project needs to be outstanding and not detract from this natural beauty’s assets. 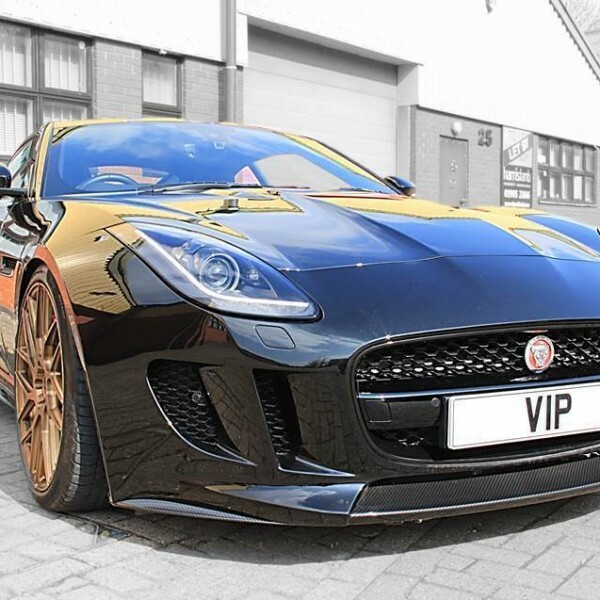 Performance of course is paramount so the VIP Technicians spent over 3 weeks refining the software upgrade on a 3000bhp rolling road with live tuning and data-logging, including emission testing (Since the Team do enjoy a bit of environmental friendliness!). 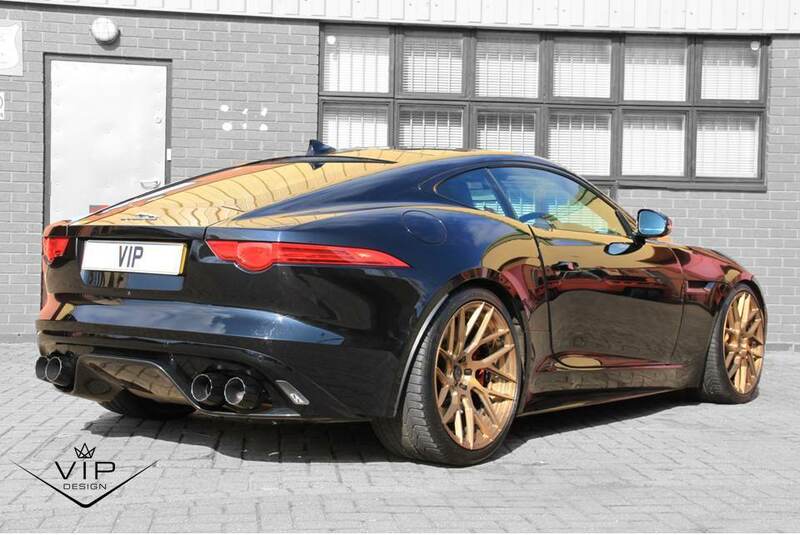 The end result is staggering with an additional 50 bhp. 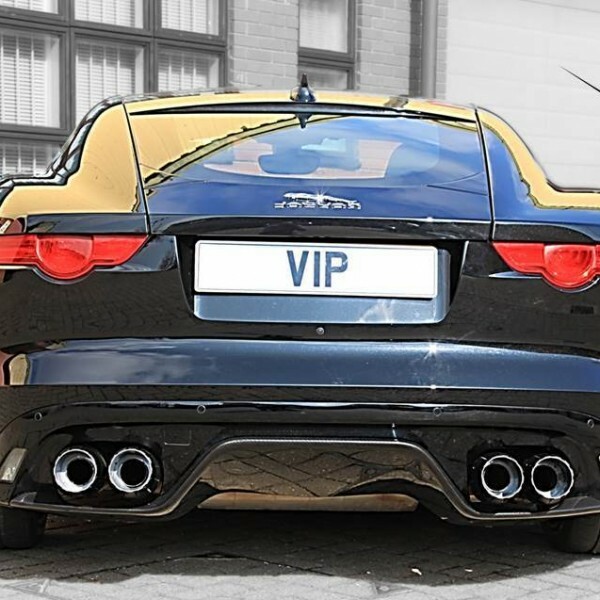 Read on to see exactly what innovations VIP Design have delivered. 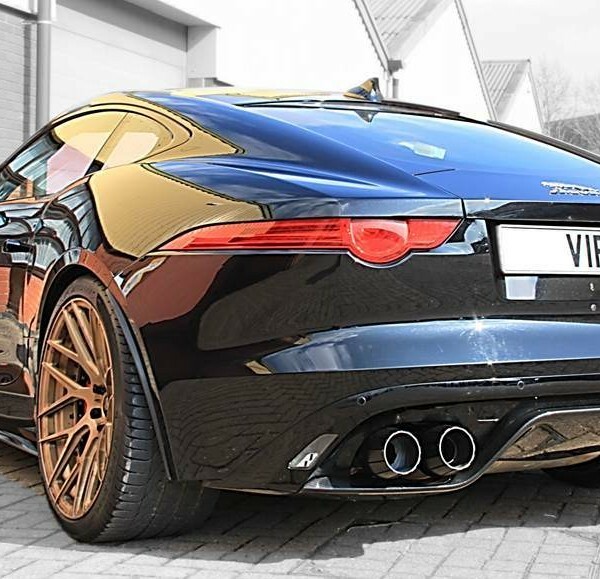 The drive is a pure delight – you’ve got to drive this car! 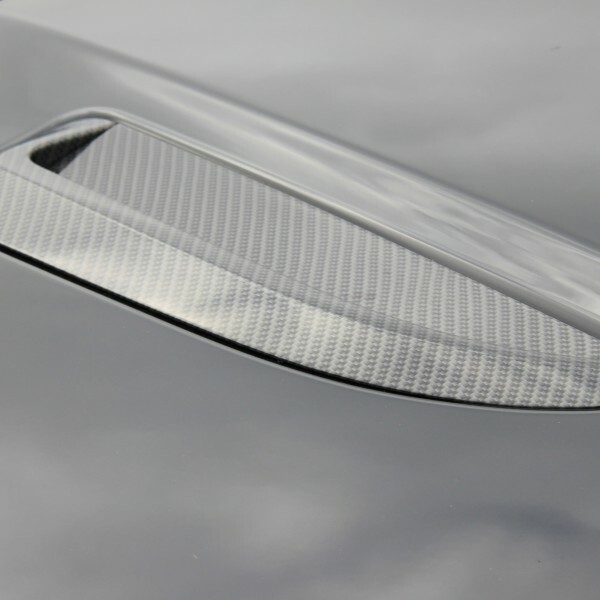 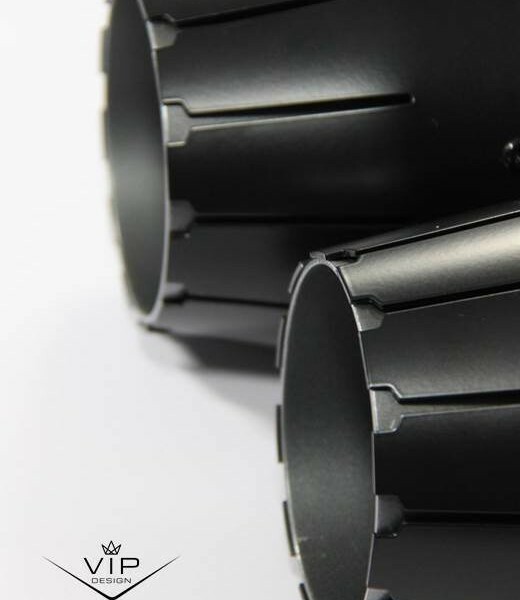 Carbon Fibre – carbon bonnet vents, beautifully styled left in polished carbon fibre to be appreciated, an artistic balance for the eye candy element. 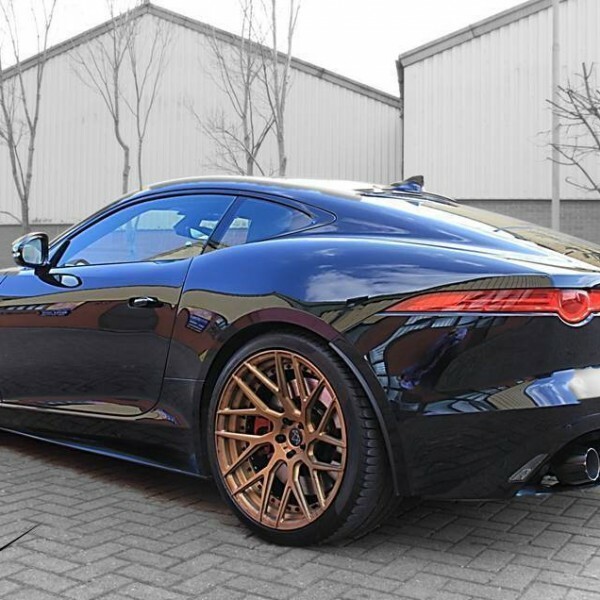 Wheels – hand cast aluminium rims in a burnished gold sets this black example on fire at the boots (tyres) – it’s a show-off alright! 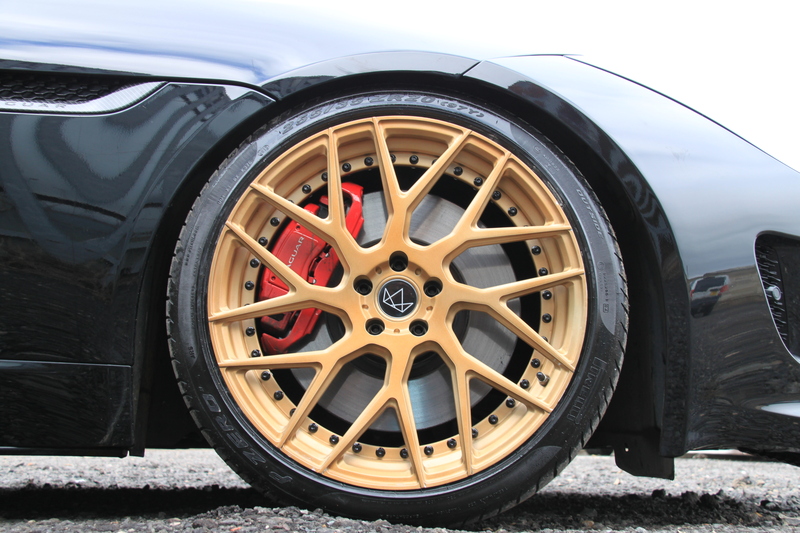 You don’t have to go with the gold either, you get to choose from 24 different designs options and 28 different colours on the wheels, the VIP Team will help you decide with some mock ups. 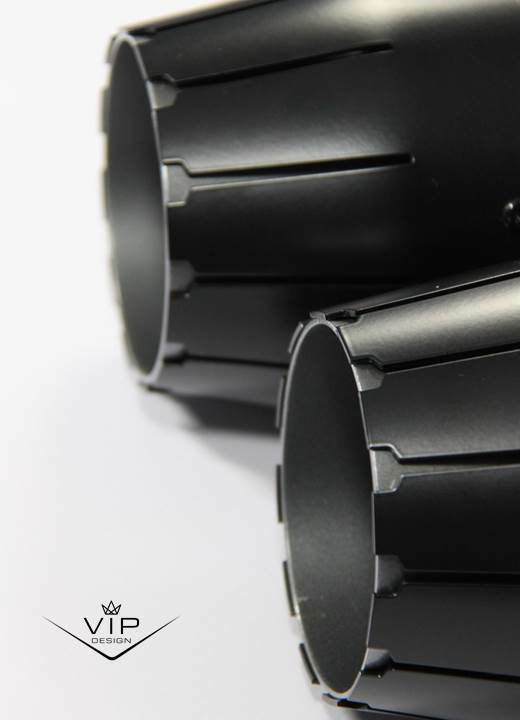 200 Cell Catalytic Convertors which improve waste exhaust gas flow cycling through spent gases meaning improved efficiency and performance is gained – basically you can floor-it and get an instant kick.